It is heartbreaking to see the devastation and destruction left in the wake of Hurricane Michael. The cleanup will take many months, if not years. The cost to repair or replace homes and business will certainly run into the billions of dollars. And, of course, there will be long-lasting damage to the coastline and waterways. You can find photos and videos of the destruction all over the internet, boats ripped from their moorings and driven far inland. 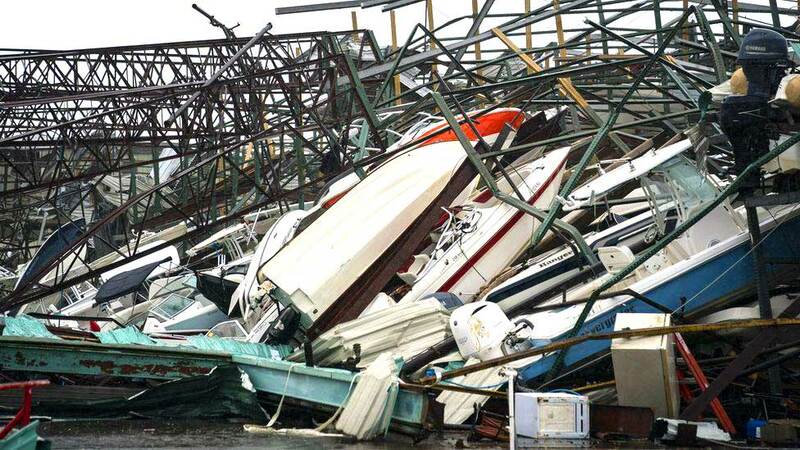 Entire marinas have been destroyed. Even though Hurricane Irma ran up the Gulf Coast in 2017, there was widespread flooding and damage on Florida’s east coast. More than a year later, various public and private docks in Jacksonville have yet to be repaired or replaced. Boating is enjoyed by a wide-breath of people, who have a diverse set of interests, from fishing to cruising to watersports. But our love of boating makes us all part of a special community. I grieve for the victims of this massive hurricane and for the lives than have been altered for months, or years, to come. I hope never to take for granted the blessings I have in living near the coast, and being able to enjoy the wonder of God’s creation. But I also don’t want to forget those who are struggling to recover from natural disaster. I hope you have a chance to enjoy time out on your boat. But please remember to say a prayer for those who might not have get that chance for a while.